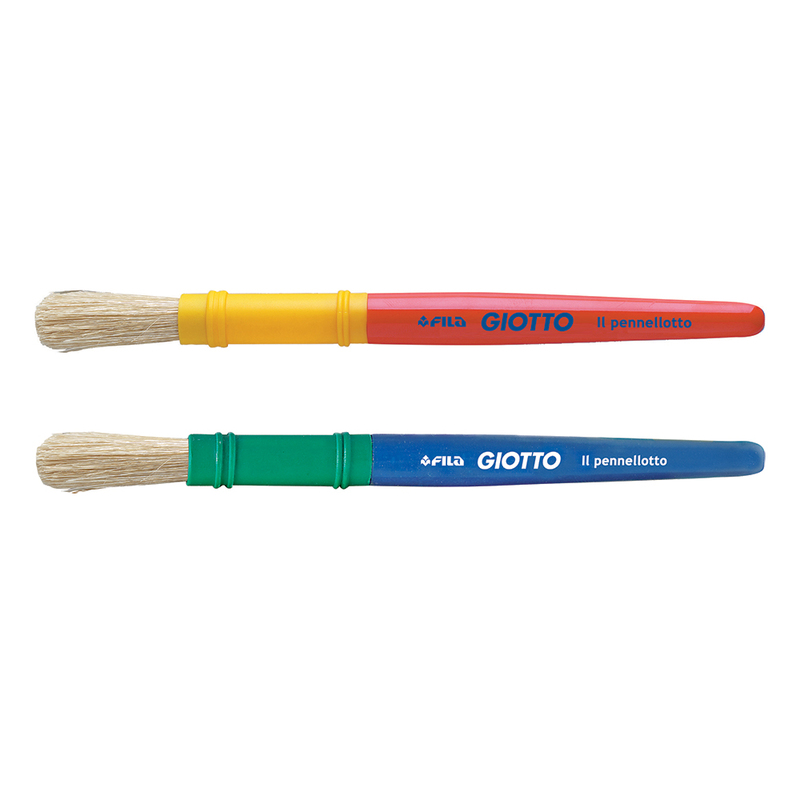 This set contains two paint brushes with a round tip made of bristle. Ideal for painting large backgrounds. 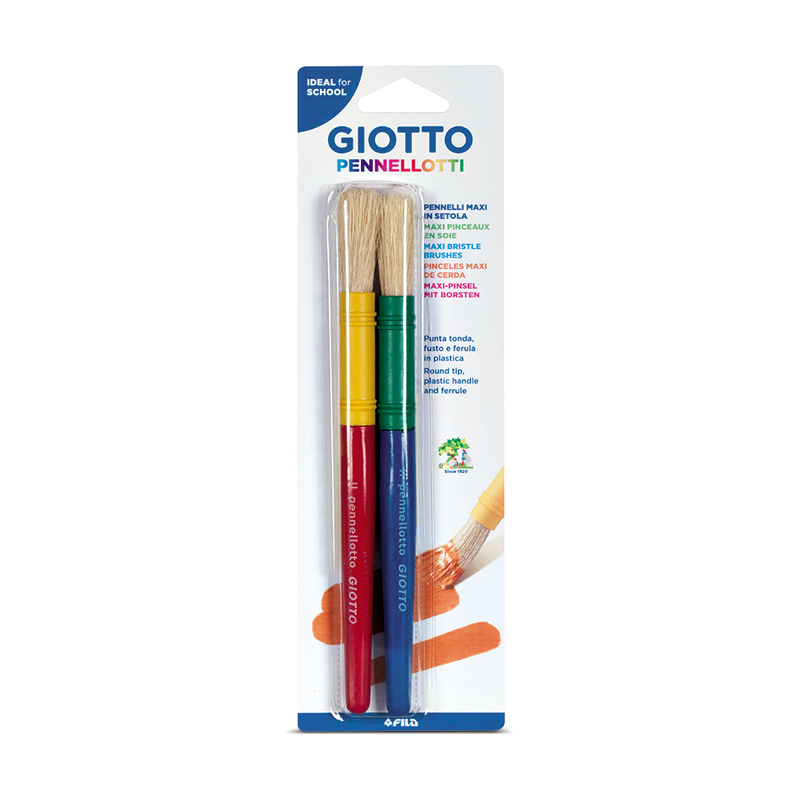 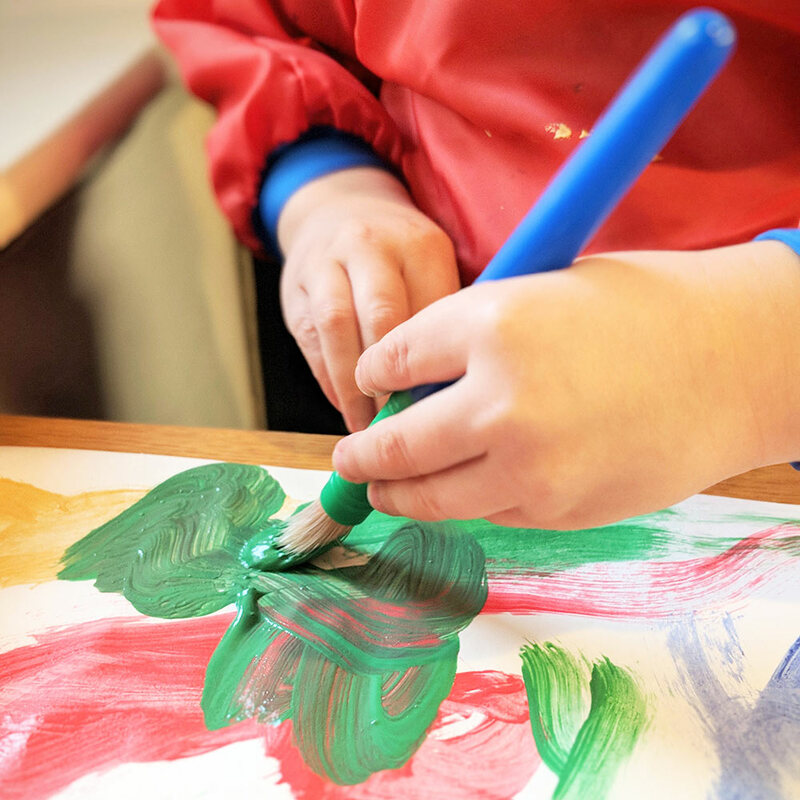 These brushes feature a chunky plastic handle and ferrule which are easy to hold by young artists.